We regularly get requests if we still ship CDs, T-Shirts etc. Yes of course all your orders will be fulfilled! Sometimes people face problems with the Omniversal shop system. In this case, please just send us your order via EMAIL. As a special gift for all those still interested in the weird stuff of KOROVA, KOROVAKILL and CHRYST, from now on all orders will get a set of stickers and buttons for free. Two years ago CHRYST's bible "PhantasmaChronica" came into this world, a revelation of Epic Avant-garde Metal. 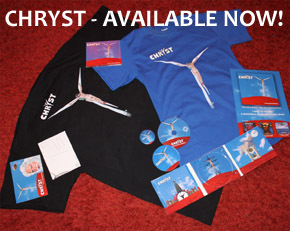 The CHRYST Digipak-CD and T-Shirts now are available for 10€ only! Take this rare opportunity to discover a new dimension of music. Omniversal Records albums, t-shirts and other stuff are now available in a fine selection of exquisite music stores all around the world. 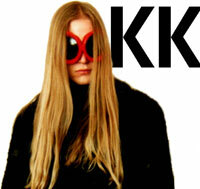 Check our distributor list for your country. A fine selection of CHRYST articles has been gathered in the "Press" section. Read what the media is writing about the latest CHRYST album "PhantasmaChronica" and find a couple of interviews, where CHRYST himself solves some riddles of his work. 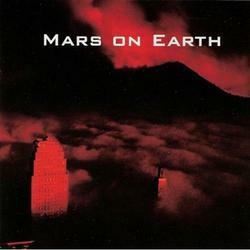 - The exquisite MARS ON EARTH MCD features cold symphonic Elektro Metal - produced by anonymous members of KOROVAKILL a couple of years ago. Top Secret Discovery! - A small quantity of KOROVAKILL - "WaterHells" T-Shirts is finally available again. Prepare for next summer and make sure to get one now! CHRYST - PhantasmaChronica available now! The new CHRYST album "PhantasmaChronica" is available now at the Omniversal Store! The full range of CHRYST articles is on stock now and ready to be shipped to you. You can configure your personal CHRYST T-Shirt there (5 sizes, 2 colors, front or back print) or get stickers, buttons and postcards. The first 100 preorders have been shipped today. A huge THANKS to all brothers & sisters for this great support! You can listen to the show all around the world via live stream. The show also will be available afterwards in the WFMU archives. Join this extraordinary experience! CHRYST album release on 21st September - preorder now! “PhantasmaChronica” is 1 song in the length of 47 minutes. The concept album will be released as exclusive Digipak with a 10 page leporello booklet. A variety of merchandize treasures for the rising CHRYST ARMY joins them: T-Shirts, posters, postcards, buttons, stickers and several special bundles wait to bring glee and pleasure upon you. 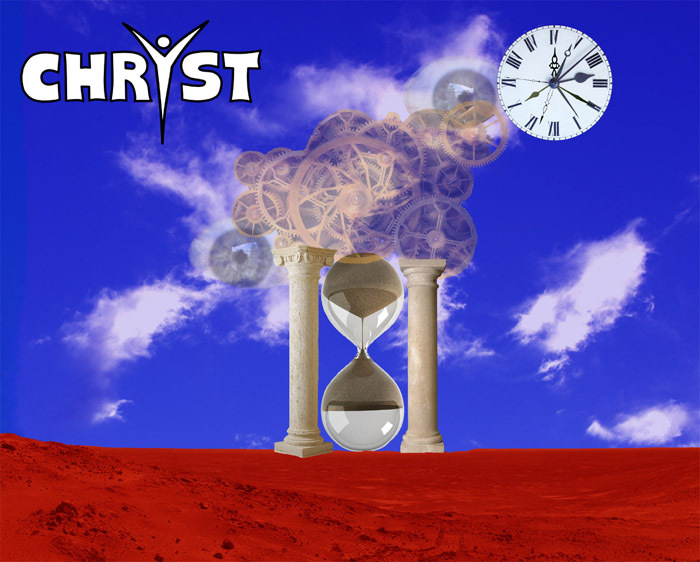 Check the brandnew CHRYST WEBSITE for a large insight into the concept and lyrics of "PhantasmaChronica" as well as several audio samples of the new album. 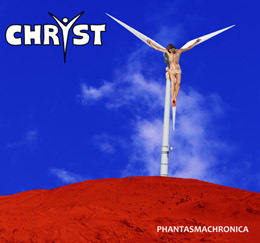 The long-awaited, forthcoming CHRYST album “PhantasmaChronica” will be released in September 2011. First impressions of the artwork are already available. First audio excerpts will be released soon. “Chryst PhantasmaChronica” is a concept album that consists of only one song with the length of 50 minutes. It reveals the chronicle behind the phantasms of the visible world, which has become chronic. “PhantasmaChronica” is wilder and calmer, more chaotic and more atmospheric, more brutal and more sentimental, straighter and more complex than all other KorovaKill albums. Prepare for a masterpiece of “Epic Psychedelic Metal”! “Chryst PhantasmaChronica” will be released in September 2011!